And then there's even more! Howdy. 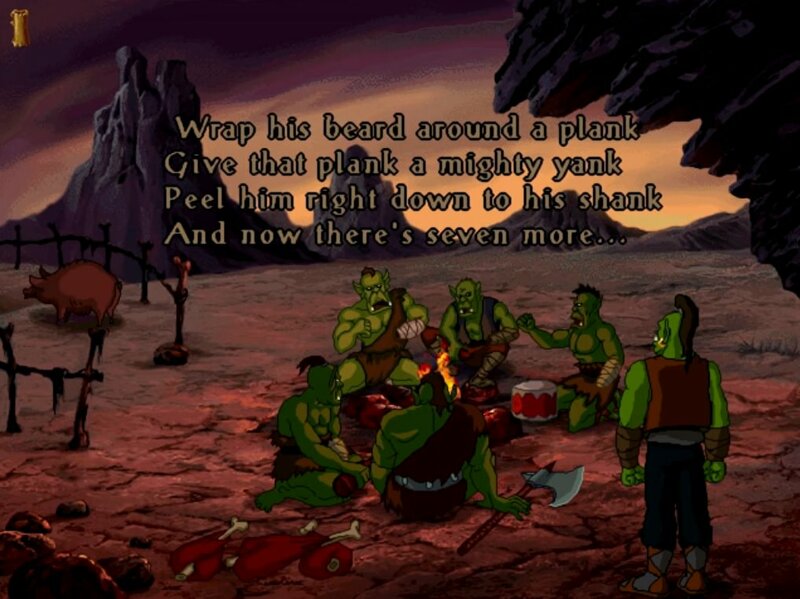 Back in 1998 or so Blizzard advertised for an upcoming title, Warcraft Adventures: Lord of the Clans, produced via companionship with a Russian company. Straggling schedules and the end of the click-game era made Blizzard cancel the game before release, a bit like Starcraft: Ghost. I and my brother recently stumbled across a series of eleven play-through videos featuring the game, whilst having a hobby workshop. The Youtube video series is obviously not complete for whatever reason, but we were still surprised by the quality of the game and really enjoyed viewing it. The creativity and attention to detail and previous strategy titles is obvious, and in it are some first appearances for things which later appeared in World of Warcraft, such as homing chickens or gnomish architecture. It's very much a Blizzard game, and it's a small shame it isn't available in any form considering the work's results. It's worth to check out Lord of the Clans for anyone who likes Blizzard's Warcraft (especially pre-WCIII) or just fantasy with orcs, goblins and dwarfs in general. Do yourself a favour when you've got the time. Load a drink and some snacks, and discover this lost title in a series of best-selling fantasy games. If you like the look, feel free to comment about it and leave a request for further videos or even torrents for the game from the uploader, who got it from the Russian company. Last edited by Karak Norn Clansman on Wed Jan 16, 2019 8:43 am, edited 1 time in total. Ya that is pretty cool. Never knew any of that even existed! Cheers! Apparently Blizzard had cooked up some more songs along similar lines! Check them out here.